A #Sackville Church Sign With A Bit Of Snark. I Like It! | Sack-Vegas!!!! 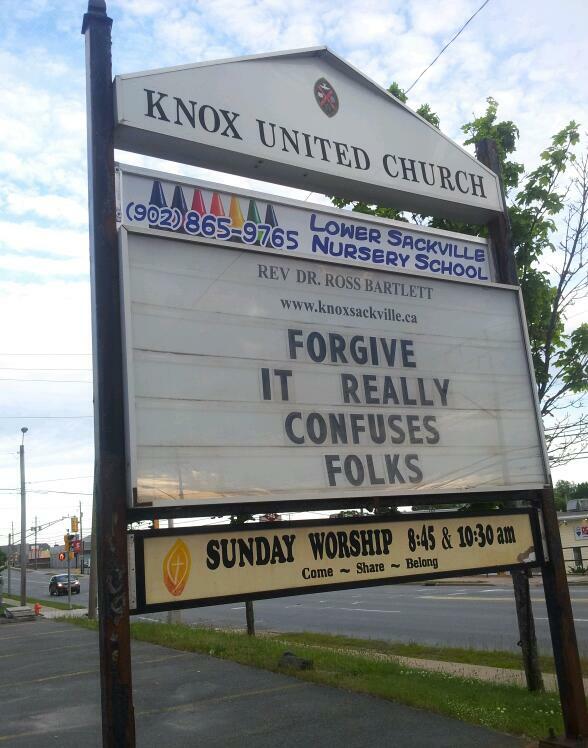 A #Sackville Church Sign With A Bit Of Snark. I Like It! Hahaha! This sign down at Knox United Gets an official tip of the cap from Sack-Vegas.com. A bit sassy and kinda true….maybe my posts/tweets are making an impression around here. I don’t belong to any church but if I did…. Posted by Sacky on June 18, 2013 in Ramblings And Foolisness.